Today we leave NZ and fly to Australia. Although Australia has been my dream destination since I was a teenager, I am sad to leave NZ. It has been an incredible trip. We wrapped it all up with a five day stay at an old friends house in Piha, near Auckland, spending our days walking on the beach, wine tasting and eating wonderful home cooked meals. After two weeks in a campervan, it has been heaven. 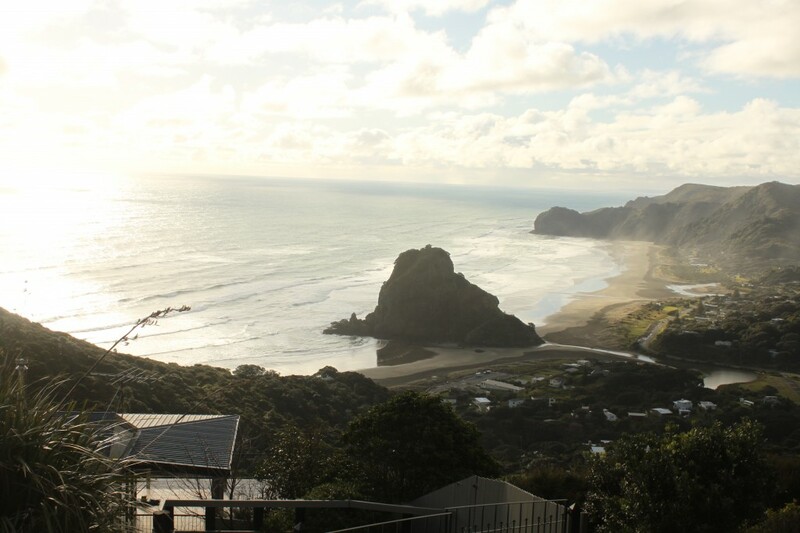 This photo taken from our friends balcony in Piha might give you a clue as to why we never want to leave New Zealand.